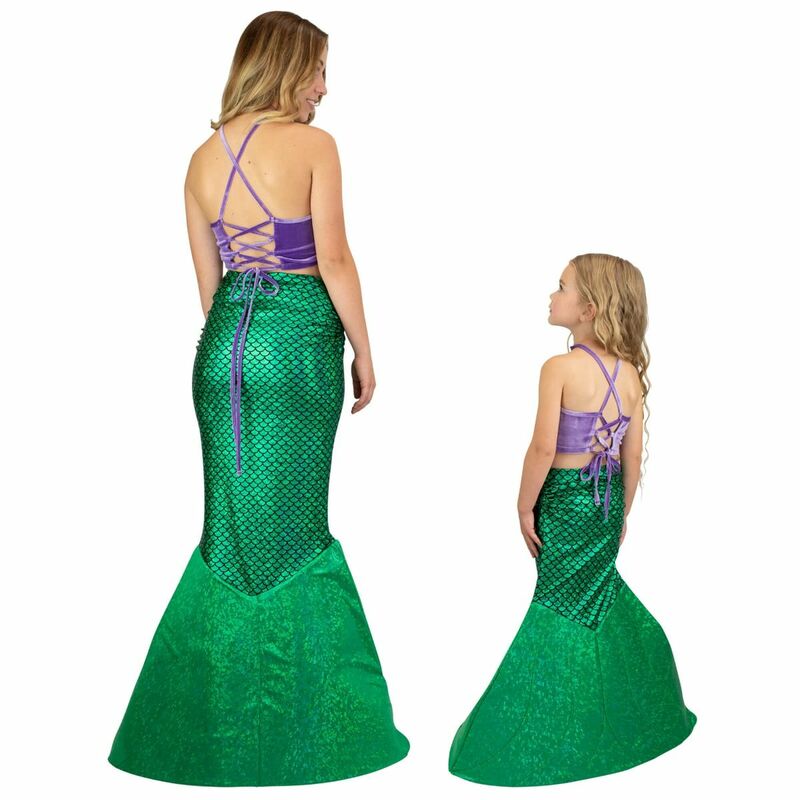 Show off your scales this Halloween with our Mermaid Costume, available in sizes for kids and adults! 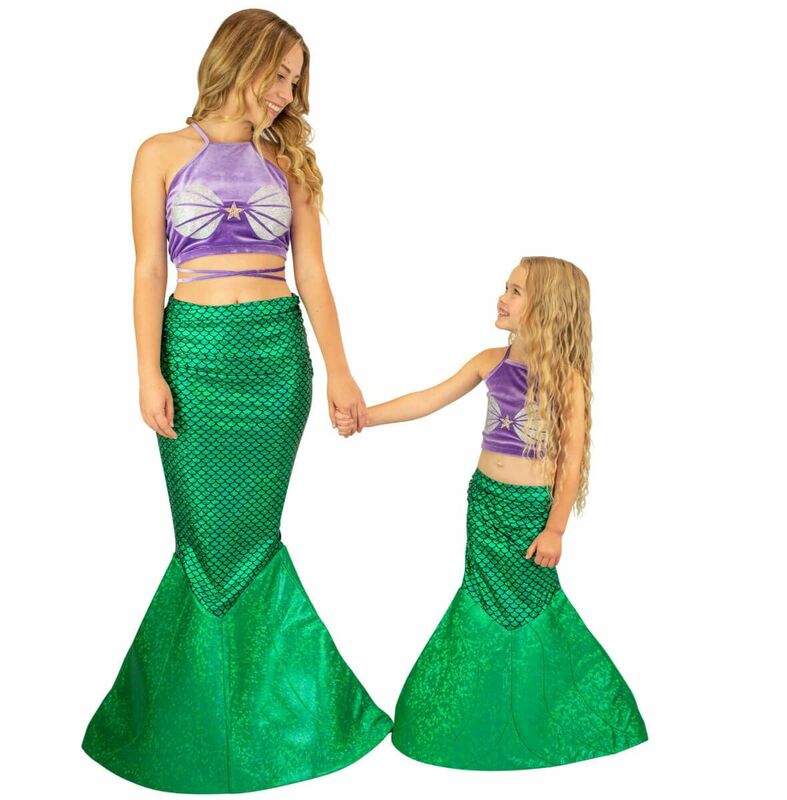 This two-piece set features a mermaid tail skirt and soft velvet crop top. 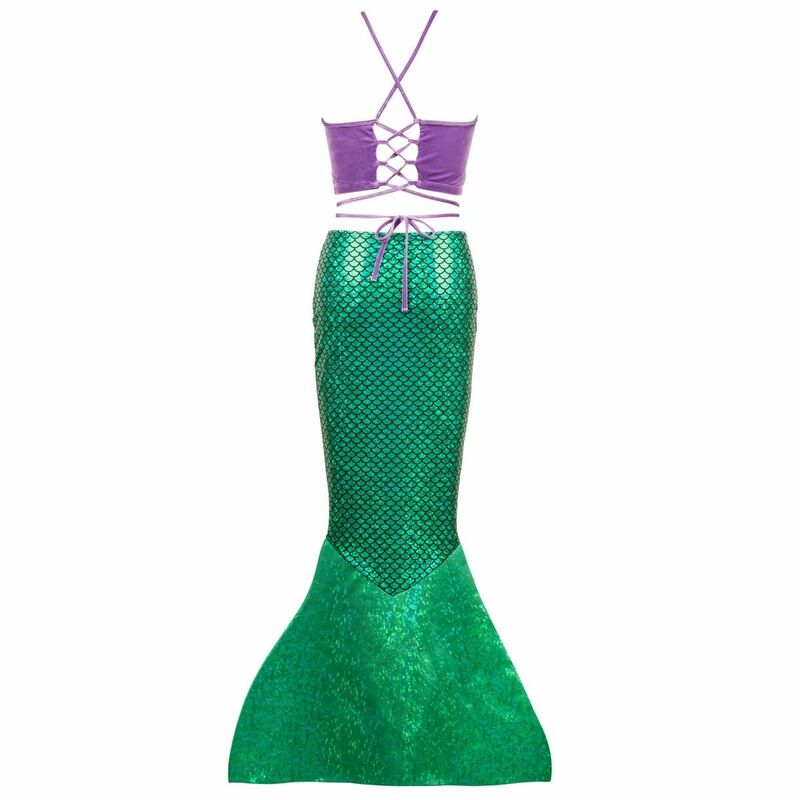 The skirt features stretchy fabric that glitters in stunning fashion with prismatic, sparkly flakes. 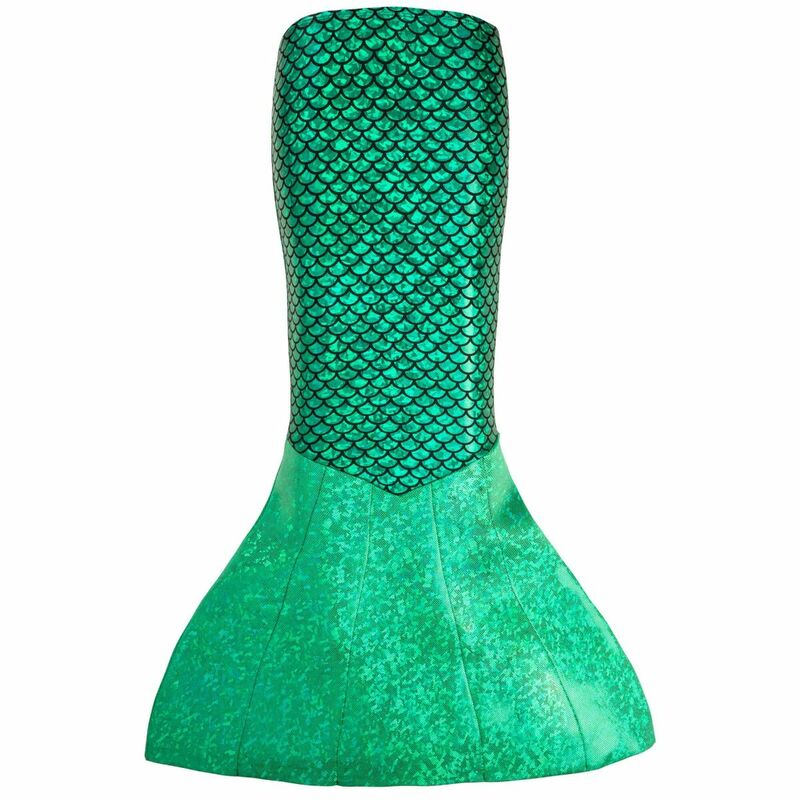 Its fluke of lightweight, fabric-covered neoprene foam is easy to walk in and stays in perfect shape while you to trick-or-treat to the fullest. 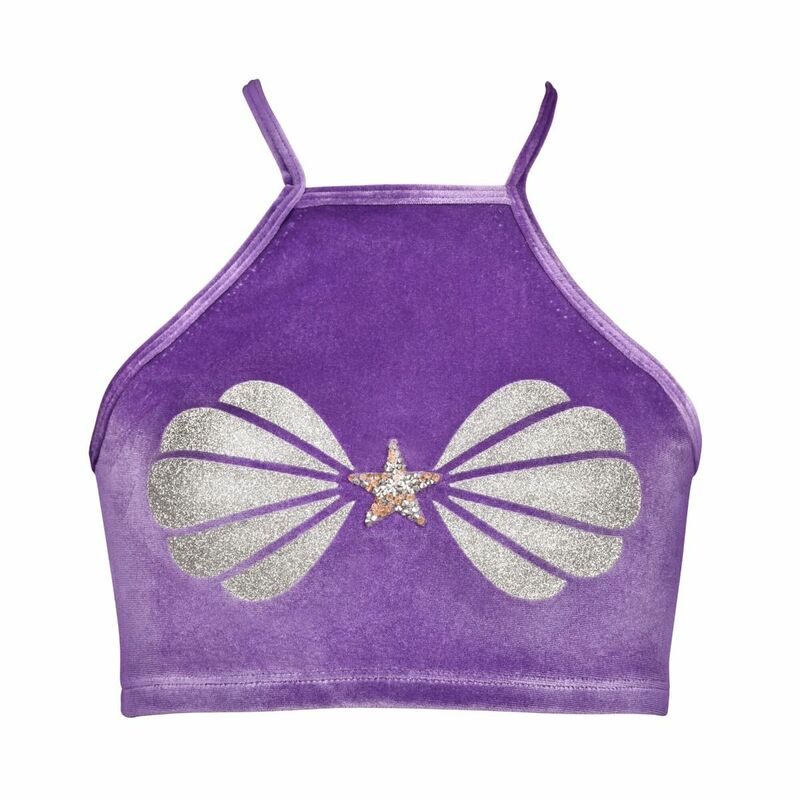 Our crop top features a sparkly silver seashell graphic with a bejeweled gold star accent! 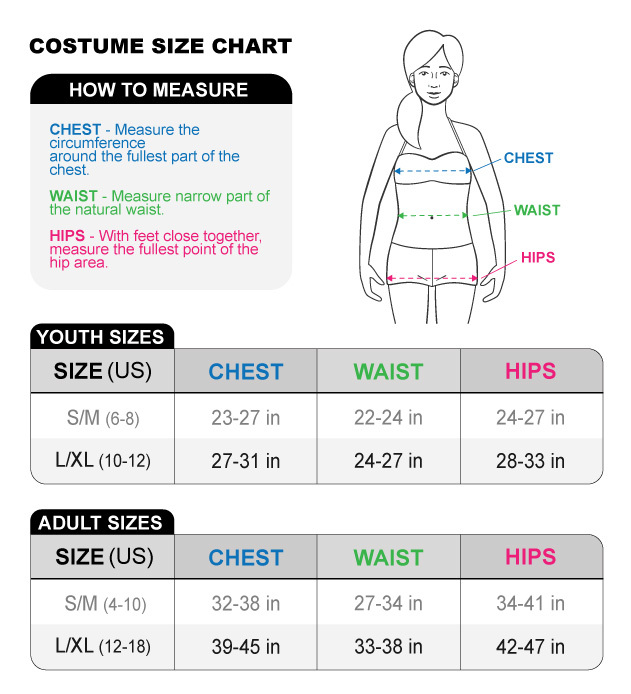 Available in 2 child and 2 adult sizes (S/M and L/XL); adult-size tops feature a molded cup liner. Hand wash only. Hang to dry. No bleach. 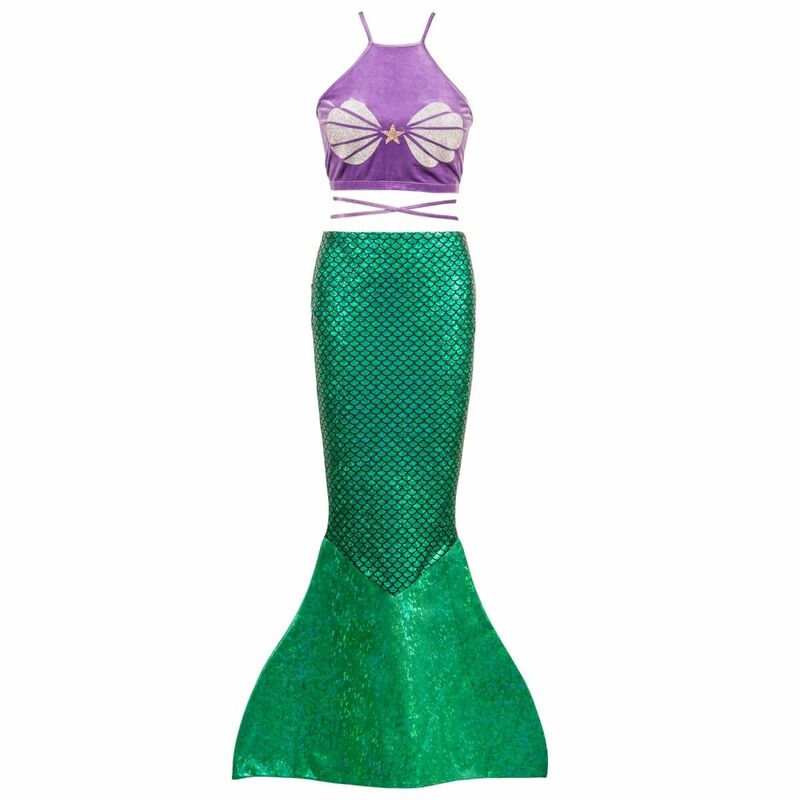 To promote the longevity of the fabric and decoration, do not wring or twist.